Ref. 1500 - This Large Modern Villa has 3 Levels, 5 Bedrooms, Large Garden with Palms trees and Private Swimming Pool. Built to an European high Standard with a especial layout that gives privacy to all the rooms, the orientation and designs of the walls optimize the breeze and light. All the doors, stairs and windows are made from best quality materials. Marble & Parquet floors and fully air conditioned. A house to live in and enjoy. Perfect for family with children and pets. 2 Bedrooms (one office), Maid room with bathroom. Please contact us for further details or to arrange a viewing ! Esta gran villa moderna tiene 3 niveles, 5 dormitorios, gran jardín con palmeras y piscina privada. Construido a alto estándar europeo con un diseño especial que da privacidad a todas las habitaciones, la orientación y diseños de las paredes optimizar la brisa y la luz. Todas las puertas, escaleras y ventanas están hechas de materiales de la mejor calidad. Una casa para vivir y disfrutar. 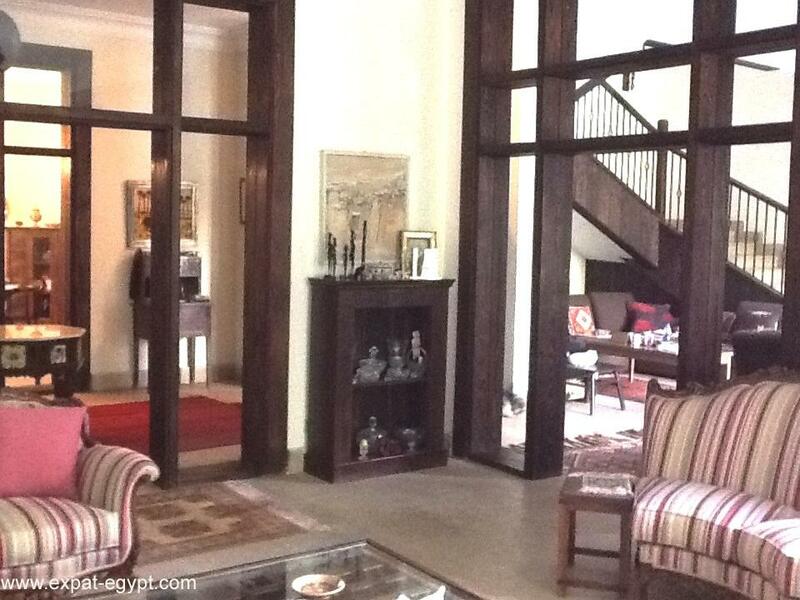 This property is located in: 6 October City, Madinat Sittah Uktubar, October 6 (Al Qahirah, Egypt). I am interested in other Castles for Sale from Egypt. Please kindly send me more details about this Castle for Sale from Egypt.